If your home’s roof needs some TLC, contact Rhino Roofing Systems. Our roofers will make sure you have a solid roof overhead with our quality roofing repair and reroofing services. You can’t run a successful business if the structural integrity of your roof is in question. When your commercial building’s roof needs work, contact Rhino Roofing Systems immediately. Want a roofing system that will make your structure more energy efficient? 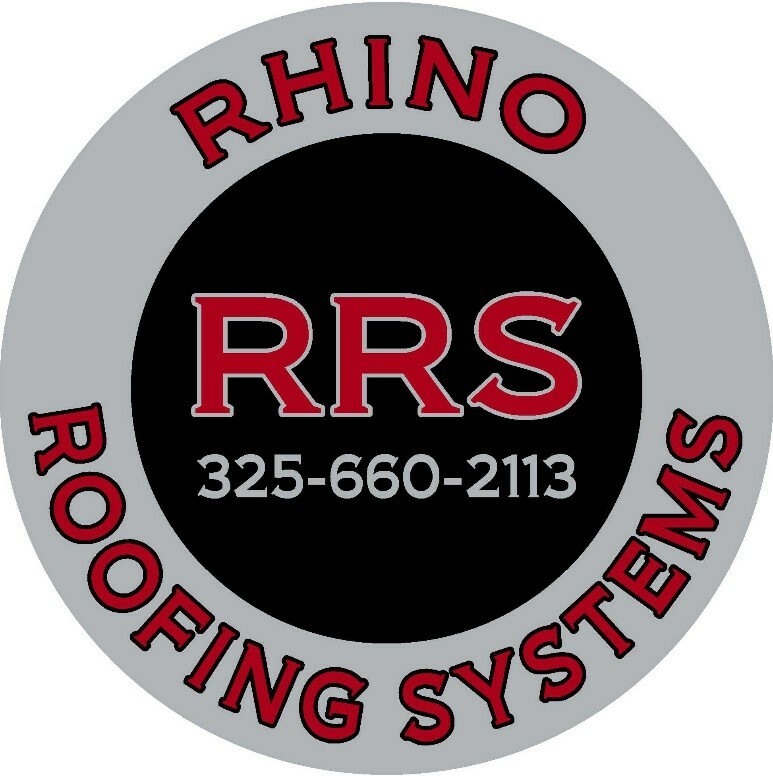 Rhino Roofing Systems can install, maintain or repair commercial thermoplastic polyolefin roofing systems that will do the trick. If you’re interested in having a metal roofing system installed, reach out to Rhino Roofing Systems. Our team will walk you through your options and have your new roof installed in no time. You may not give your home or office building’s roof much thought, but a damaged roof can seriously endanger you and your loved ones. Rhino Roofing Systems can help you achieve peace of mind by inspecting your current roof for signs of wear and tear. Our roofing contractors will carefully examine your roof’s components and alert you to potential problems immediately. We’re accredited by the Better Business Bureau and have an A+ rating, so you can trust us to recommend a cost-effective repair or replacement solution based on our findings. We service the surrounding areas of Abilene, TX including San Angelo, Sweet Water, and Brownwood, TX. If you need a new roof for a construction project, we can help with that, too. Discuss your roofing system needs with one of our team members by calling 325-695-1000. We can also apply roof coating systems. Reach out to Rhino Roofing Systems to schedule a zero cost service estimate today. Need roofing repairs? We’ll work with your insurance adjuster! If your roof has been damaged by severe weather, don’t pay for the repairs out of pocket—have a roofing contractor consult with your insurance company. Rhino Roofing Systems of Abilene, Texas and surrounding has extensive experience handling insurance claims. Our owner and founder is a licensed insurance adjuster, so you can count on him to supervise the process and make sure the repairs are paid for. Next time your roof needs to be repaired, contact Rhino Roofing Systems to see what we can do for you.